Rental properties in Atlanta have become a big deal in recent years. People are beginning to buy old properties, fix them up, and rent them out as an extra way to earn some cash. Others move to a new house but rather than selling their homes, they simply rent them out. This rental property side business has boomed and is becoming more and more popular throughout the country. Owning rental properties in Atlanta is an easy way to add to your income, and the more properties you collect and rent out, the more extra money you will be making. While you have probably heard of the tax write-off benefits, the benefit of an additional income, and other common benefits, there are some that you may never have considered. Owning rental properties comes with a lot of work, but that work can easily be worth it in the end. At Atlantic Property Management, we can help you manage your Atlanta rental properties, deal with tenants, and more – making your rental property experience less work and stress. Are you undecided whether or not you should start your rental property portfolio in Atlanta, GA? 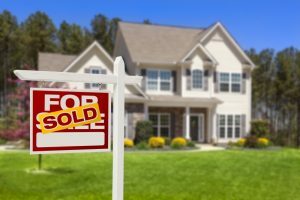 This blog can help point out some of the benefits of owning one or multiple rental properties in Atlanta, making the decision easier for you! Read on to learn more about the subtle benefits of owning rentals. Renting your Atlanta income property out to other people can help give you peace of mind. Some people’s rental properties were once properties that they could not get rid of. Perhaps they planned on moving back in a few years, or maybe they inherited a property that they just can’t bring themselves to get rid of. Whatever the reason may be, some people end up with properties that they won’t sell but don’t want to leave empty and at risk. Renting out these properties in Atlanta can help ensure that the home is getting taken care of, maintenance issues are being fixed, and that someone is there to look after the place. While that may not seem like much, you will wish you had renters when your empty property ends up being broken into or vandalized. You may be thinking to yourself “what if I have tenants in my home who destroy the place?” Well, with Atlantic Property Management, you won’t have to worry. We will do potential tenant screenings for you, finding you the best candidate to help make sure your home is well taken care of. The beauty of renting out properties is that it is something that can be done no matter your age, health, or even if you live in the same town or not. This is even more true when you use an Atlanta property management company. You can receive an income even if your health doesn’t let you work. If you have a health concern that may worsen over the years, or an unfortunate accident takes place, you will still get the income from your rental properties. This is a huge bonus, especially when life happens, it is always better to expect the unexpected. This also goes along with retirement. When you retire, it is nice to have a steady income still coming in without having to work. Rental properties will allow you to enjoy your retirement without worrying about money at all. This is a great way to stay financially stable without working late into your life. We may have covered this benefit before, but it is too good not to mention again! When you own two properties and rent one out, your tenants will pay your mortgage for your rental property. Over the years this will be paid off and you won’t have to worry about paying two mortgages. There are many different things that we could live without—designer purses, bespoke suits, and luxury car are a few. But then there are things that we can’t always live without. Housing is one of those things. As long as there are people in Atlanta, there will be people who need rentals. And if you own a few different rentals in the Atlanta, you will have more renters looking at your properties. This is one market that will always be around. According to SmartMove, millennials are renting out properties well into their 30s, meaning that the amount of homes being bought is lower among these crowds. The number of renters in different generations is growing, owning rental properties is a great business to be in right now. Eventually, you may want to sell your home and be done with the rental property business. When that time comes, you can sell your Atlanta rental property. But this also gives you the option to wait until the real estate market is better to sell, allowing you to get the most for your home. Many people may forget that if they own rentals, they don’t have to keep them forever. A good option is to sell your home to tenants who have been living in it for a few years. This makes it easy for them and for you, since they have all of their belonging already in the home and you won’t have to show your house every weekend. Whether you are renting out your old home because you needed something different, got a new job, or wanted to move to a bigger home, you will always have the option to move back. Maybe this was your childhood home and you needed something bigger while your children grew up. Or perhaps you are having kids and need a bigger space and your rental happens to be the perfect size. Whatever it may be, you always have the options to move into one of your rentals. Which is also great for peace of mind. While you may think that the only benefits of owning rental properties in Atlanta are additional income and tax write-offs, there are many more benefits, that many people do not think of. 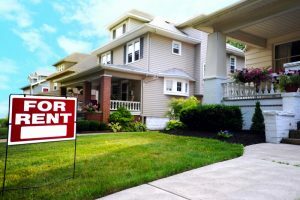 Hopefully this blog proved to you that rental properties offer more than just the obvious benefits. If you have a property that is just sitting there, waiting to sell, renting it may be a great option for you! There are many different benefits to owning rental properties in Atlanta, from additional income to flexibility in many different areas. One downfall is all the work that goes into taking care of your rental properties but with the help of Atlantic Property Management, you don’t have to worry about a thing. We can help you with many different rental property services. Learn more about our company and contact us with any questions you may have.